GoldenBox Travel offering Mykonos and Athens VIP Transfers with premium chauffeur services and a fleet of luxurious cars. Our luxury services include VIP cars, Mini-Vans and SUV based on client needs. Services are coming from highly experienced personal chauffeur, rapid door to door transfers, weddings and special events. We undertake tailor made stay in Greece for the most demanding clients, supporting their transfers with helicopter or private jet, boat and yacht rental, and offer concierge services during their stay. 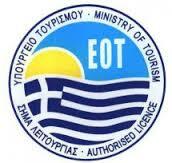 Contact us for private tours in Mykonos, Athens and all over Greece. We plan excursions based on your needs, visits at archaeological and historical sites, gastronomical experiences and Greek night life. Travel with style and comfort all over Greece! !